Terms - مؤسسة مجتمع واحد - عطاء ، توعية ، أنسانية . 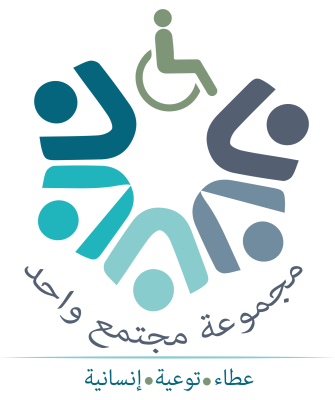 We were established in March 6, 2013 and the group began an awareness campaign entitled "campaign handicapped"
The campaign lasted until achieved its lofty goals and was the founding of the campaign at the hands of Professor / Talal bin Abdulaziz Al Jaber. Rights activist with disabilities, the media in more than one newspaper, the media earlier in Riyadh newspaper. Then the team was formed in 2014 and achieved in that time many of the services and important and meaningful requirements ..
Journal managing editor in chief Abdullah Al-Hamad and conscience [of the establishment (Talal Bin Abdulaziz Al-Jaber Al)]. [Project was established in 05/01/2016] and go in the project [06/06/2016] .. management / invasive girl Obaid Al-Otaibi [of the establishment (set one community). The idea of Afaf Al Dosari (administrative predecessor group)] and establish [group one community and the administration of Professor Sarah girl Saeed Al-Zahrani. The launch of the project [06/06/2016]. The project established in [3/23/2016 3:25:29 PM] and go in [06/06/2016] of establishment (Mojtmma one group) and management (a nice girl Alnowaiser). All projects are reserved for group and one community of the founding management (Talal Bin Abdulaziz Al-Jaber Al). Under the supervision of the Commission for Social Development Eligibility his race. To connect or inquiries on the following number and Watts August (0593308801).